Timewatch has provided bi-directional synchronization between our resource scheduling solutions and Outlook for many years. 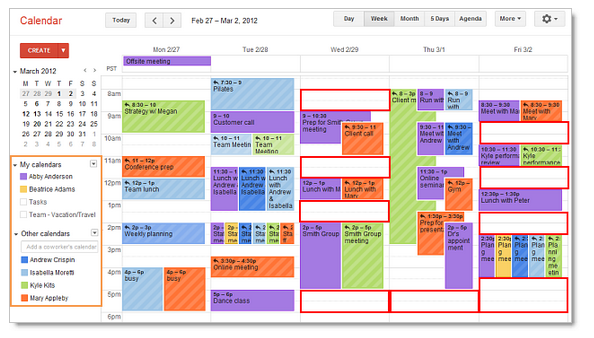 Recently we’ve been receiving more and more requests for the same level of synchronization with Google Calendar. 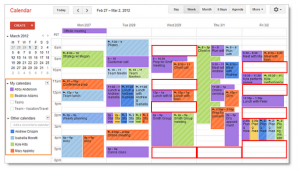 We are excited to announce that development on a Google Calendar scheduling service is currently under way. Thanks to our customers for the suggestion! We are now looking for customers that would be interested in assisting our product research to make sure we develop a service that meets customer needs. If you have interest in being an early adopter and providing feedback, please contact us.